Offering two outdoor pools and an indoor pool, the 5-star Insula Alba Resort & Spa is located in Analipsi village. The 24-hour reception resort features air-conditioning, free Wi-Fi access and an international restaurant. All of the minimally decorated rooms and suites at Insula Alba Resort & Spa are en suite and include a minibar. Some of the accommodation will provide you with a private pool. Overlooking Hersonissos Beach, the all-inclusive Creta Maris Beach Resort combines a new Green Cretan philosophy with exclusive 5-star services. There are 3 outdoor pools, a water-sports centre and 3 floodlit tennis courts on site. The spacious of the eco-friendly resort have comfortable armchairs and warm earthy tones and has a mountain, garden or sea view. Spacious lounges, sun loungers on the beach and pools, blooming gardens, hair salon and medical room are at your disposal. Dining options include Italian, Cretan and seafood restaurants. A total of 6 restaurants and 6 bars are available on site. The resort’s Thalasso Therapy centre features an indoor heated pool, sauna and hot tub facilities. Children enjoy their own pool, kids’ club and playground. The luxurious Elounda Mare Hotel offers stunning views over Mirabello Bay. It offers an award-wining spa centre and top quality restaurants, along with a variety of leisure activities. The whitewashed rooms and suites are elegantly decorated in soft tones creating a serene atmosphere. The bungalows are surrounded by bougainvillea-filled courtyards and include private swimming pools. The Six Senses Spa offers a wide range of revitalizing treatments. Among others guests can pamper themselves with massage therapies, ayurveda aromatherapy and facial treatments. 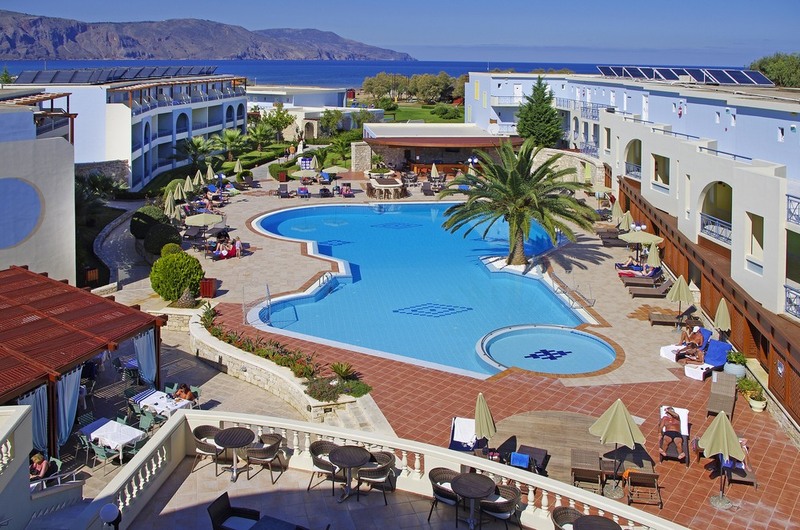 Elounda Mare Hotel includes a large heated pool, as well as a private sandy beach, where sun-loungers and umbrellas are provided free of charge. The Sea Sports Centre offers water skiing and scuba diving lessons. Other water sports such as canoeing, wake boarding and wind surfing are available. A delcious buffet breakfast is served at the Deck restaurant. The Yacht Club offers fish specialties by the beach, while the Old Mill restaurant specializes in Mediterranean cuisine. Other Elounda Mare facilities include a children’s entertainment centre, a golf course, 2 tennis courts and a shopping arcade. The 5-star Porto Elounda Golf & Spa Resort is located along the coast of Elounda. All rooms have views of Mirabello Bay.and a sea-view veranda with teak furniture and blooming plants. Porto Elounda offers the first Six Senses Spa™ in Europe, with holistic treatments. Facilities include a heated freshwater indoor pool, sauna and steam room. The 9-hole golf course is available to resort guests only. The hotel’s water sports centre includes jet-skis, wind surfing, water ski and sailing. Luxury yachts are also available, as well as a PADI certified scuba diving centre. Breakfast and dinner are served at the sea-view Nafsika Restaurant. You can choose to have lunch at the Mediterranean Elies Restaurant, or the beachfront tavern Odysseus. 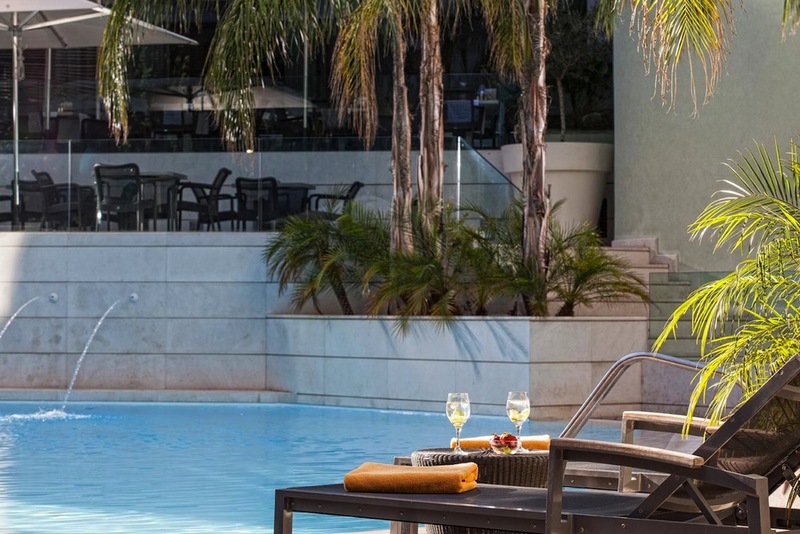 Located in the capital of Heraklion, this 5-star hotel offers 2 gourmet restaurants, a free wellness centre and a large freshwater pool. Luxurious rooms feature balconies with pool and city views.&nbsp; Vetri Restaurant has a wonderful American buffet breakfast and Cretan cuisine. Per Se Lounge offers casual meals, wines and cocktails. The Pool Deck serves light meals and drinks. 24-hour room service is available with additional in-room dishes. Galaxy Hotel’s Wellness Club is open 24 hours a day and its use is free to all guests. 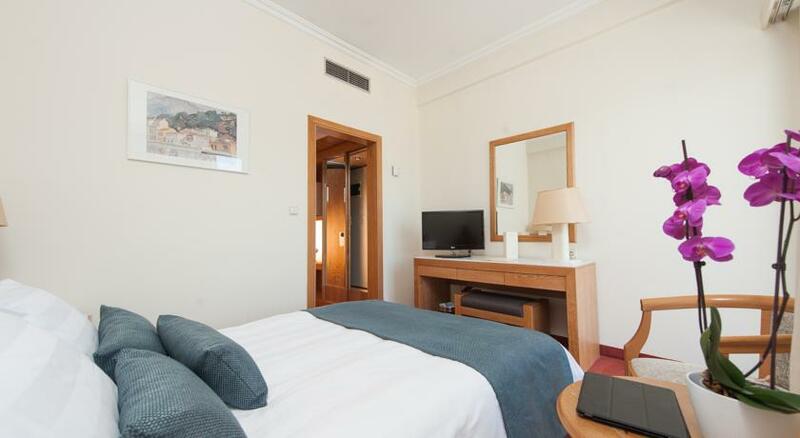 It includes a state-of-the-art gym and an all-marble steam room.&nbsp; Located within a 10-minute walk from the city centre, shopping, historic attractions and a 10-minute drive from the Knossos archaeological site. Located in the heart of Chania’s charming old town, this authentic 17th-century Venetian mansion offers a personalised service along with a courtyard and rooftop terrace overlooking the town and the Venetian harbour. Each spacious room combines old world charm with modern comforts. From the marble bathrooms and rich fabrics to the LCD TV and free wireless internet, every effort has been taken to ensure your comfort. Enjoy a sumptuous breakfast served every day in Casa Delfino’s courtyard. A stylish bar offers a range of drinks. The Casa Delfino Spa features an marble steam room, an extra large hot tub and a soothing relaxation area. The staff at Casa Delfino will be more than happy to offer information and other suggestions for your leisure time. Casa Delfino enjoys a superb location within the picturesque narrow streets of Chania’s old town, just a short walk from the sea. Located in the Venetian Harbour, right at the heart of the Old Town and a short walk from the beach of Chania, Fatma Boutique Hotel offers stylish rooms with free Wi-Fi. Many rooms have a balcony or terrace.A certified Greek Breakfast is served daily in the dining room. Hot and cold beverages and cocktails can be enjoyed at the bar or the sun terrace. Hotel Fatma Boutique is a short stroll to many shops, restaurants and nightlife. Free public parking is available at a nearby location. Discover an oasis of fun and recreation Candia Park Village is an ideal resort for families and couples alike, resembling a traditional Cretan village. The unique waterfront location offers panoramic views of Mirabello Bay and the azure sea. The 222 spacious apartments offer facilities that exceed your expectations. The extensive gardens blend in style with the picturesque Cretan environs. Three swimming pools ideally set on 2 levels and include a fresh water swimming pool with Jacuzzi and a children’s swimming pool. Wind up a lazy day on any of two fully equipped beaches and enjoy a wide range of water sports. 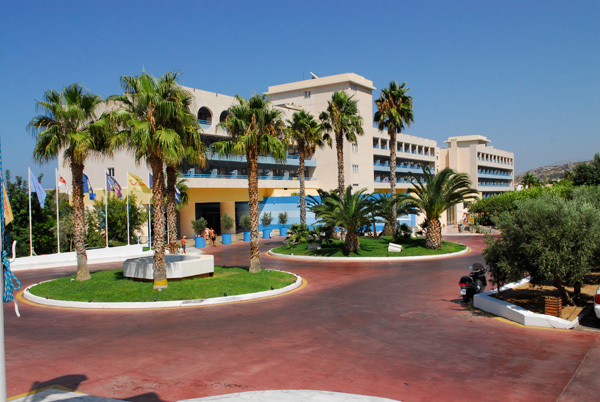 Mediterraneo Hotel is located in the popular travel destination Hersonissos,. The hotel combines easy access to the center of the town (1 km), privacy, quietness, luxury & a panoramic view of the sea. All rooms have a wide sea view, balcony or terrace that allows guest to unwind and relax. There is also a main restaurant with sea & pool view for breakfast lunch and dinner in buffet-style, an "a la carte" pool snack bar for lunch and a main bar for cocktails & drinks during the day and night .In the hotel you can also find a gym-fitness room, a wellness room with Sauna, Ham am (steam bath), Jacuzzi & a massage room, games-room (with billiard, table tennis/hockey/football, video games, darts), internet cafe, meeting room, satellite TV corner, 2 great pools with sun chairs and umbrellas free of charge, 2 children pools and playground next to the pool area. The walking distance from the nearest beach is between 300 and 400 meters of which you will find all kind of sea sports & games, beach services such as chairs and umbrellas, refreshments and lots of other facilities with matching pleasure. At the "Mediterraneo Hotel", the famous Greek hospitality, the healthy Cretan nutrition, the friendly atmosphere and the local customs meet successfully the elegance and the luxury and fulfil all the needs of a pleasant holiday. This 4 star property is built in a style where the atmosphere and the soft colors and flowers will make you feel relaxed and comfortable during your stay. The friendly atmosphere, comfortable rooms, excellent service and moderate prices make this hotel a great spot for your time in Crete. A quick walk from the beautiful sandy beach each room comes with a lovely balcony with magnificent views The 124 rooms are equipped with all modern amenities and come with the use of excellent facilities including a relaxing pool setting. This all inclusive resort sits on a hilltop and is the perfect set up for a relaxing memorable stay. The 4 adult pools and 3 children pools, 3 tennis courts, sauna and gym, provide many different options for all people. The beach is a short walk from the property and the main town of Hersonissos is a quick bus ride away. The 2 on-site restaurants offer a huge choice of buffet style international dishes. Snacks and lights meals are served at the 2 snack bars. Selected beverages are also included in the room rate. Located by the beach, Hersonissos Maris offers indoor and outdoor pools, gym and tennis court. All accommodation features balconies or terraces overlooking the Cretan Sea or hotel gardens with some rooms have direct access to a shared swimming pool. Maisonettes feature a private pool with hot tub. Thalassa Snack Bar offers light meals and drinks by the sea. A buffet breakfast is served daily at Alexander poolside restaurant. During lunch and dinner, Cretan and international dishes are offered. Wellness options include a fully equipped fitness centre, a sauna and Turkish bath. Hotel Hersonissos Maris is equipped with a children’s pool and an on-site playground. Free Wi-Fi access is available in public areas. The centre of Hersonissos is a short walk from the hotel. Located in the centre of Chania, Kydon Hotel is opposite of the main market hall and just a few minutes' walk from the Old Town and the Venetian Harbour. Elegantly decorated, all air-conditioned rooms and suites that offer panoramic views of the Old Town, the Venetian Harbour and the Cretan Sea. All units also enjoy free Wi-Fi. On the first floor guests can enjoy complimentary breakfast buffet including hot and cold dishes, and relax with a coffee or drink at the bar in the evening. Porto Veneziano Hotel has a great location by the waterfront of Chania's Old Venetian harbour. It offers glorious panoramic views and quality accommodation with private balconies for all guests. A short walk from the centre of Chania, Porto Veneziano is a great sport for your stay in this historic town.. Chania's most famous sites are all within easy walking distance of Porto Veneziano. The closest beach is just 1.5 km away. The hotel offers free Wi-Fi throughout and operates a smoke-free environment on all communal areas, guest rooms and suites. This delightful boutique Hotel is located heart of Rethymnon’s old town, 100 metres from the Venetian Harbour and the sandy beach. It offers a charming courtyard with a swimming pool. Housed in a 16th century Venetian building, Mythos features studios and rooms with private balcony or terrace. All stylish rooms are tastefully decorated and offers free Wi-Fi. A rich continental breakfast with Cretan traditional goods is served at the stylish breakfast room. Within a short walking distance guests will find the Archaeological Museum, the Venetian Fortress, as well as plenty of restaurants ,bars and shops.